Description: CobraFlex Impression baler belts provide superior performance for a variety of balers. 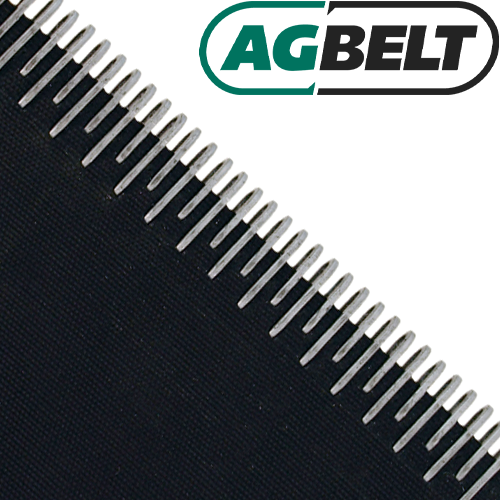 Featuring a light fabric impression on both top and bottom covers; these Impression baler belts sport a lower profile which makes them an ideal replacement for many older balers. All CobraFlex belts are made with proven 3-ply technology for superior strength and fastener retention. The Clipper® Hook design incorporates a double-staggered grip pattern that gives wire hooks exceptional holding power without degrading the integrity of the belt carcass. All fasteners are professionally installed using production style equipment for a superior set and the connecting pin is included.